This is a great video from Jetpens.com about beginner fountain pens. I personally have a Pilot Kakuno, two Pilot Metropolitans, and a Lamy Safari. In addition, I have several Jinhao pens, but the Pilots and Lamy are much nicer, and a lot more pleasurable to write with. At first, I didn’t like the Metropolitan, but now it might just be my favorite (medium nib). Funny how that worked out. 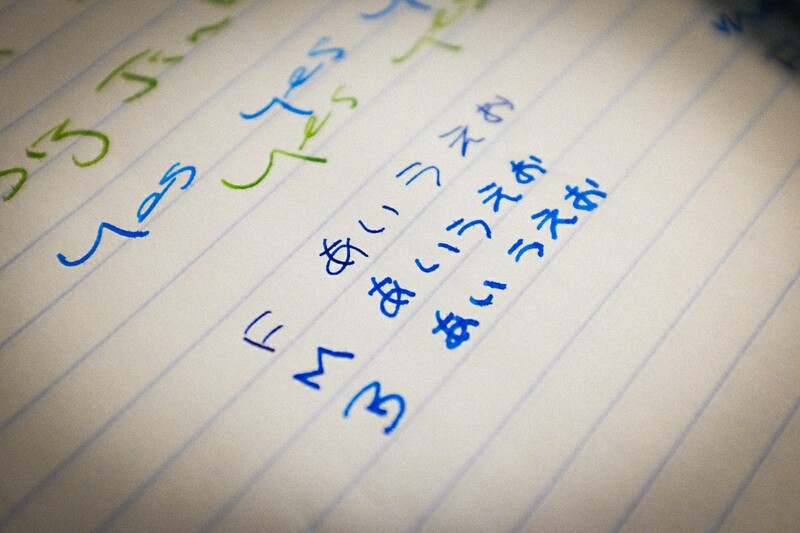 Here’s a photo of some hiragana practice. The first line is the Kakuno (fine nib), second is the Metropolitan (medium nib), and third is the Safari (broad nib). I wrote this in a plain Mead notebook, so there’s a bit of feathering. I love using my fountain pens for Japanese practice. It makes it a lot more fun!